18 months ago, John T. Meyer co-founded Lemon.ly, as part of his plan to make the world an easier place to understand. Currently, Lemon.ly achieves this by creating beautiful infographics, but as you’ll find in today’s interview – John has bigger goals than that. There are few things that make John’s story unique. The first one that comes to mind is the size of his clients. I don’t know many entrepreneurs that in their second business manage to secure mega companies like Nike, Pepsico (owners of the Pepsi, 7UP, Quaker, Tropicana and Doritos brands and 17 other well-known brands), or the Marriott within their first two years in business. But there are other interesting factors. Location, for instance. John and Lemon.ly are located in South Dakota; almost the least populated USA state, and definitely not a major business or technology hub. And of course, big part of what makes Lemon.ly special is their founder’s story. But first – what are infographics anyway? The best way to explain what’s an infographic — is to show you one! 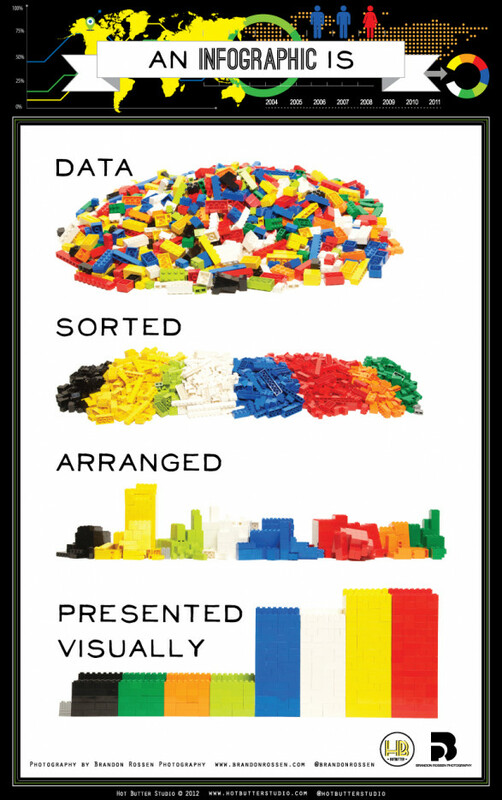 As you’ll see, it’s a tool to organize data in a visual way that allows us to understand and remember it ; a lot quicker, for a longer time, and at a deeper level. How did John T. Meyer end up starting Lemon.ly? When he graduated from college he took a position with a corporate consulting company. It was a terrific job with a great salary — “the job everyone was supposed to want”, as John framed it. But after only 3 or 4 months he knew it was not for him. His father, an orthodontist and entrepreneur himself, tried to convince him to stick with it for a year, but after eleven months John had all he could handle. He resigned from his corporate position and moved home. South Dakota had just started a grant program to lure young people back to the state to fund technology businesses. John’s brother, Scott, had gone to Norway for his graduate studies, but the money from the program would be enough to cover the siblings’ expenses for about four months. Scott returned from Norway and the brothers seized the opportunity, founding 9 Clouds — a digital marketing company. With only enough money to cover their expenses for a few months, the brothers had to learn how to stay lean. They wanted to make sure that they did not have to go back to working for someone else. In 2011, after making infographics for some of their customers and seeing success with it, the siblings decided to split. John doesn’t believe in running a company that offers multiple, unrelated services. He wanted a company that does just one thing — and does it amazingly well. So John and Amy Colgan co-founded lemon.ly — starting a design business with a focus on making the world an easier place to understand. Managing time is something that’s crucial for every entrepreneur, and John is no exception. Actually, focus and time management are two things that he takes great interest in. Today’s episode includes some of John’s tips on how to manage your time and his personal time management strategies (mainly “8 for 8” – listen to learn more). On the interview, John shares what he had to go through both business-wise (how to pitch via LinkedIn and how to build your portfolio) and personally (how to create the confidence and mindset needed to win these customers). One other important thing he said was,”every client you say ‘yes’ to, sets the expectations for the next client, and is setting the path to where your business is going”. Meaning – that although when we start we all want to get the income going and the business off the ground, it’s still important to know who is your target audience and take that into account when YOU PICK your customers. My good friend Ralph Quintero also talked about the dangers in “organic growth” on his podcast, which I highly recommend you listen to. One last thing to remember when you think about getting your dream customers, is to avoid limiting yourself to the old beliefs that location matters too much. Usually it doesn’t and in this day and age you can create a business from anywhere, and work with almost anyone. Lemon.ly is a proof, operating from North Dekota, a state with a population of under 900,000 people!! There are more people than that in Djibouti, Macedonia, or Estonia! Location is not an excuse! Finally in this episode we go through the process of creating infographics. How the Best Infographics are structured, how to build the story and the message you want to carry through. Should you convey your message using cool infographics or a more serious business infograph? Listen to learn more. For people who have a liking to design, John suggests creating an Infographic resume, showcasing your past experience. I’d suggest to build upon this idea, and actually consider creating an infographic resume of your business or company, for the next time you need to pitch a customer, investor, or just explain what you do in a fun way — in your next networking event! What are infographics and how can they help you? How to combine Infographics, data visualization and entrepreneurship. What is the mission of Lemon.ly and John T. Meyer. How John T. Meyer started his entrepreneurial journey. How many people are working for lemon.ly and what’s their process in creating an infographic. How to double your focus and do what you do best at. What kind of process did John’s go through to be ready to work with huge companies like Nike, Pepsico or Marriott. How you can have any client? Success routines: How to John T. Meyer starts his day. John T. Meyer: Main website, Twitter, Facebook, LinkedIn. James Altucher: Main website, Twitter. 9 clouds – John’s first company, co-founded with his brother. Rework – by 37 signals. Recommended by John as the book they give every new employee to read. Cave of Altamira – the home of world’s first infographic! Another fantastic episode Meron! Finally all caught up. Loved how this mixed my passions of design and entrepreneurship. I’ve had similar results in sharing content on twitter, anything visual gets shared so much more. I created a quick critique of iOS7 a day after it was announced and it spread like wildfire. I loved John’s tip about giving yourself 8 tasks a day to complete with 6 work/ 2 personal tasks. Great way to measure your productivity and stay focused! Can’t wait for next week’s episode, have a great weekend Meron! Glad you liked it! When I think about it, lemon.LY can actually be an interesting business concept for you, since it does combine two of your passions. Can you share the link to your iOS7 critique? Was it based on design, or functionality? if you liked John’s productivity tips, check out his productivity mailing list – I’ve heard good stuff about it, and actually just joined it myself 🙂 for me, the only problem would be to choose ONLY 6 tasks!! Did you give it a try? How’s it going? Great session . Having the right costumers can make or break your business . And sometimes you have to say no or even fire a bad one . Ilias, you are spot on. I’m actually going through this now with one of my old businesses (the one I mentioned in the interview) and have “fired” 4 paying customers over the last week. It’s hard to see the income go, but I’m focusing on the time and resource that this will spare me!! Great interview, Meron! I loved John’s presentation at NMX so it was a nice to hear more of him. Thanks Jason! Very glad you enjoyed it. He’s a clever guy achieving some impressive stuff, no doubt. Are you on his daily Focus email list? I didn’t know you were at NMX. Too bad we didn’t get to meet! What was the best part of NMX in your opinion? I’ve been on his daily mails since the beginning. I enjoy them. I’m not too out going and social so NMX was kind of a bust for me. I did talk to a few people I wanted to but overall it was mainly just the live presentations. So, the best part for me was Pat’s talk and Chris Ducker’s. Afterwards, I was almost sure that I would go back next year, but with the prices much more I probably won’t attend directly. If there’s some meet ups that peak my interest, I may drive up just for those.